Mission: To provide a supportive environment in which one can directly experience the essential wisdom teachings of the Buddha through the timeless, ageless practice of what is called Zen, Chan or Seon. 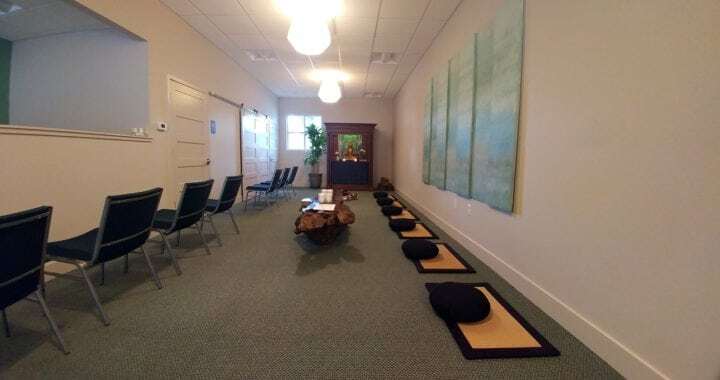 The Ordinary Zen Sangha (OZS) is committed to bringing the benefits of this wisdom practice into our ordinary lives, just as they are, in this place and time. Affiliation: OZS is secular and unaffiliated in its approach. The Chan from China, the Zen from Japan, and the Seon from Korea, all have at their root the guiding wisdom of Buddha’s Enlightenment. OZS does not claim to belong to any lineage, nor does it claim not to belong to any lineage. We treasure and respect the true Dharma (teachings) passed down through the ages from teacher to student. This wisdom is not subject to circumstances and conditions or the culture of any time or place. It is always available through the gate-less gate of our own minds. Primary Activity: We are a practice center, meaning we encourage a direct experience of the illuminating wisdom that makes it possible for us to know our own minds and awaken to our original nature. Our primary practice is the “method of no method,” which can be called zazen; just sitting, meditation, or silent illumination. It is said that when you can understand your “self,” you can resolve your “self.” This innate wisdom frees us from our afflictions, misery, and pain. The practice is as relevant today as it was two thousand years ago. Through our practice we become more productive, clear, compassionate beings, living life fully, no matter what circumstances we find ourselves in. This, in turn, helps us personally, as well as countless others. Support: OZS is supported and funded through the generosity of its members. Inclusiveness: OZS does not and shall not discriminate on the basis of race, color, religion (creed), gender, gender expression, age, national origin (ancestry), disability, marital status, sexual orientation, or military status, in any of its activities or operations.